When I was in grad school, clinical depression was described as this discrete period that occurred in episodes with a clear beginning and ending. It was even called the common cold of mental illness. Like you would know when you had caught it, and then you’d get better and be in remission. If you had a genetic predisposition, you could be at risk of recurring depressive episodes, potentially for life. You could also have this more chronic but less severe form of depression called dysthymia. Sometimes you could be unfortunate enough to have dysthymia and major depression at the same time. Double depression, it was called. As though you could have carefully measured doses of depression, and double depression has 2 cups of symptoms instead of 1. Which is strange, because you can’t have double of any other mental disorder. Now that I’m a practicing psychologist, I know that the diagnostic categories are not as neat and clean as they were made out to be. As a person who has been depressed for most of my life, I can say that major depression feels distinct, but it is not always clear when I am depression-free vs having dysthymia. There are times when I didn’t think I was depressed in the moment, but when I look back, it’s clear that I was. Often we tell clients who are on meds that they can begin tapering off once they are in a period of stability. Over the summer, perhaps. Or some time after they have gotten settled in their new job. Maybe the problem for me is that there is never a period of stability. Never some time when there isn’t some family crisis. When there isn’t some problem that I’m dealing with. If anything, I would say there have been episodes of stability that have broken up the more chronic feeling of being depressed. I don’t to want give the impression that I’m always miserable, because I’m not. Like I said, sometimes I don’t even realize I’m depressed. Sometimes it only lasts a few hours or a few days. And it doesn’t feel the same every time. So at least there’s some variety to it. Every now and then I get upset about how unfair it all seems. The depression. The anxiety. The family craziness. The stress that comes with thinking I need to save the world. But life isn’t fair, right? And I am blessed and fortunate in other ways. If I had to choose my suffering, at this point I’d choose mental illness, because at least it’s familiar to me. I know what to expect. I know how to manage it. And the meds do help. So does therapy, self-care, mindfulness, and self-compassion. I think depression has made me wiser. It has made me a better therapist. I’ve learned to accept the ebbs and flows of my mood, and of life in general, without beating myself as much, because I’m doing the best that I can. This week is finals week. We are all willing ourselves to make it to the break, exhausted from the semester. Despite taking my meds, talking to my therapist, and practicing self-care, mindfulness, and self-compassion, I’ve still had bad days. But I’m determined to get that Perfect Attendance award, so I’ve made it to work when I’m supposed to be here. Today I would call my mood cornflower. Which is a pretty shade of blue. 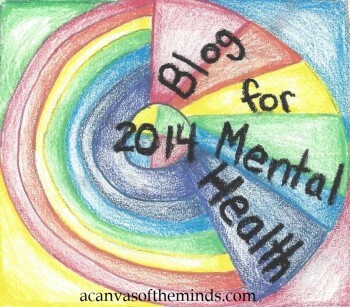 Posted in Mental Health, Psychology and tagged Depression. Bookmark the permalink. You know what it’s like having a mental illness? It’s like being Homer Simpson in that episode where he ate that Fugu puffer fish prepared by a rookie chef. That’s the fish that, if not prepared correctly, can kill you. He had to wait 24 hours to find out. Great episode, if you haven’t seen it. Or it’s like hydroplaning on the highway, trying to figure out which way you need to turn the wheel so you don’t crash. That actually happened to me. I don’t think I turned the wheel the right way. I ended up going backwards in the median, wondering what was going to happen to me when the car finally stopped. Thankfully, miraculously, nothing happened. Except to my car. Which I got rid of. I found out in the book “The Art of Racing in the Rain”–which is a fantastic book, if you’re looking for something to read–that when you’re hydroplaning, you actually need to accelerate to engage the wheels. It’s a fictional account, but that makes sense to me. So now I drive really slowly in the rain so that I can speed up if I start to skid. But I digress. The reason why having a mental illness is like the Fugu puffer fish and racing in the rain is that there are so many things you have to do to maintain your balance, and it takes so little to throw it off. Take sleep, for example. I am a night owl, but I’m not supposed to stay up late, because reversing my sleep cycle triggers a depressive episode. But when I try to go to bed earlier, I can’t fall asleep because my obsessive brain is wide awake, chatting up a storm. I am also supposed to wake up early, but I’m usually too freaking tired. And because I need more sleep than the average person, I still have to take a 3 hour nap. I have similar difficulties regarding eating that is equally complicated because of my inability to wake up early, restrictions in what and when to eat because of my GERD, my tennis schedule, my inability to tell whether or not I’m hungry, and that I hate planning meals, grocery shopping, and cooking. I also have to manage my anxiety by avoiding almost everything, lately–Facebook, the news, conversations about Trump, certain family members, relationships, looking at my schedule for the week so that I don’t get overwhelmed (which has gotten me into trouble with my colleagues). Despite all of this effort I put into maintaining my mental health, I frequently wake up feeling anxious or depressed or both. Because it’s impossible to keep all of this stuff in balance. Which really frustrates me. Sometimes I’m mad at God. Sometimes I wonder if it’s all worth it, all this work to be mentally stable given that I am inherently unstable. Sometimes I feel alone in it, because despite having my brother and friends to talk to, in those moments when you’re lying in bed trying to find a reason to face the day, there’s no one who can really be there for you. Thankfully, those moments usually pass, often some time later that day. Or at least they fluctuate throughout the day. Or I’ll go play tennis. On a moment to moment basis, practicing mindfulness and self-compassion are the most helpful tools to make the pain bearable, but it still hurts like hell. I remind myself that it’s OK to be in pain. That this moment will pass. That although my thinking may be irrational but convincing right now, at some point I will be able to see things more clearly. That it’s not my fault. I’m doing the best that I can. And then I try to think of things I can do to make myself feel better. Like watching “Trolls.” Really cute movie, if you haven’t seen it. The other thing that has helped is reading Richard Rohr’s books. The one I’m reading currently, Eager to Love: The Alternative Way of Francis of Assisi, is a much tougher read, but he says some thought-provoking things. Like, he says that the best healers are people who have suffered greatly themselves. I know for sure that my own experiences have made me better able to sit with and relate to other people’s pain, and I know how much better it feels to talk to someone who really gets it because they, too, have suffered greatly. We all have roles that we have to take on that will involve pain and suffering–being a parent, a firefighter, a soldier, Wonder Woman (I loved that movie, too), just to name a few. Any role entails pain and suffering, really. I guess the difference is whether you’re going to rail against it or accept it–choose it, even–because there’s something that you care about that makes it worthwhile. And because not choosing it just magnifies your suffering. I know for sure that I was meant to be a healer. Sometimes I wish I could say no thank you, God, but I appreciate your confidence in me. But I can’t, because I really don’t know what else I would do. So if trying to find that balance moment to moment, day after day, helps me to be a better therapist, then so be it. I will choose it. 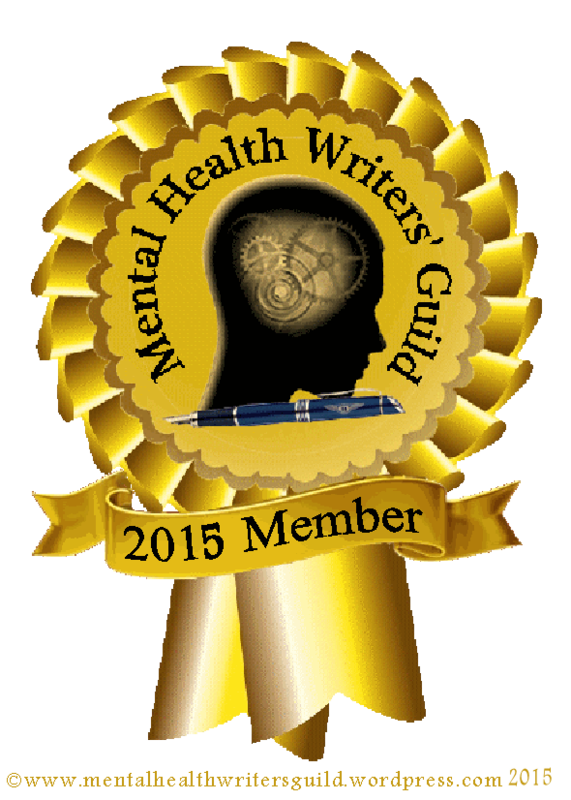 Posted in Mental Health, Uncategorized and tagged Anxiety, Depression, God, mindfulness, self-compassion. Bookmark the permalink.